Thirteen selected finalists have been announced for the fourth Man Booker International Prize. The monetary award recognizes one writer for his or her accomplishments in fiction. How does The Man Booker International Prize differ from the annual Man Booker Prize for Fiction? The Man Booker Prize for Fiction has been around for over 40 years and aims to reward “the best novel of the year written by a citizen of the Commonwealth or the Republic of Ireland.” The Man Booker International Prize, however, was just launched in 2005, has a higher monetary reward, and recognizes one writer for his or her overall achievement in fiction. The winner will be announced on May 18, 2011 at the Sydney Writers’ Festival. Click over to The Man Booker International Prize FAQ’s for more information on the Prize and its sponsors. The Immortal Life of Henrietta Lacks was named one of the best books of 2010 by many critics including NLR, The Washington Post, National Public Radio, and The New York Times. With the release of her book last year, author Rebecca Skloot stunned readers with her non-fiction work, and for many, introduced Henrietta Lacks and her miraculous contribution to science for the very first time. Science writer Rebecca Skloot found herself navigating foreign fields when she decided to seek out the story behind the cells that revolutionized modern medicine. The Immortal Life of Henrietta Lacks is the result of Skloot’s unending patience in her search for scientific truth, and the hard-won affection of the family behind the legendary HeLa cells (link here to NLR’s full review). On Saturday, March 26th at 2:00 p.m., author Rebecca Skloot will be appearing at the Detroit Public Library as part of the DPL’s 2011 One Book, One Community program. “The book is guaranteed to spark lively conversation about medical ethics, informed consent, poverty, illiteracy, family relationships and health care in America,” states the DPL site. The DPL event will take place at the library’s Main Branch location where both a reading and discussion will be held. Copies of The Immortal Life of Henrietta Lacks are available at any DPL location and the event is free and open to the public. As always, call first to confirm the date and time. Additional information is available at 313-481-1400. The longlist for the 2011 Orange Prize for Fiction was released last Wednesday. For those of you who haven’t heard of the Orange Prize, it’s the UK’s prestigious annual book award for fiction written by a woman. The award can be presented to a female author of any nationality for the best eligible full-length novel written in the English language. The novel entries must be published for the first time in the United Kingdom the year prior to the awarded Prize (rules for entry). This year’s longlist nominees include American contenders Jennifer Egan, Samantha Hunt, Nicole Krauss, Wendy Law-Yone, Tea Obreht (Serbian/American), Karen Russell, and Julie Orringer (a former creative writing teacher at the University of Michigan). Where does NLR sit with this year’s nominees? Well, the Revue has a lot of reading left to do. While I enjoyed Orringer’s The Invisible Bridge, I found it difficult to push as a solid cover-to-cover recommendation. But before the ax falls, I intend to read Obreht’s The Tiger’s Wife (which is generating big nods), Egan’s NBCC award winner A Visit From the Goon Squad, and jumping the Canadian border to read author Kathleen Winter’s literary gender-bender Annabel. This year’s Orange Prize seems to be more significant than ever in light of the VIDA Count of 2010. With the noted discrepancies between male and female writers, many have opined on the merits of women in literature, the purported Literary Glass Ceiling, and the very Orange Prize itself. Now in its sixteenth year, the Orange Prize celebrates “excellence, originality and accessibility in women’s writing throughout the world.”* Outside of increased book sales and prestige, the winner of the award receives thirty-thousand-pounds (nearly forty-four thousand dollars) and a limited edition bronze sculpture known as a ‘Bessie’ created and donated by artist Grizel Niven. The prize is sponsored by Orange which is a UK mobile network operator and Internet provider. The Orange Prize for Fiction shortlist will be announced on April 12, 2011 and the actual winner will be announced sometime in June. In past years American authors such as Zadie Smith, Marilynne Robinson, and Ann Patchett have taken home the Orange Prize. Author Barbara Kingsolver won the Prize last year for her novel, The Lacuna. -You can link here for more information on the history, rules, guidelines, and judges of the Orange Prize for Fiction. The Everyone’s Reading program is well under way for Metro Detroit public libraries. In case you missed NLR’s post the first time around, The Lincoln Lawyer by best-selling author Michael Connelly is the title for this year’s selection. Whether you’ve already burned through the book or not, grab a big bucket of popcorn because The Lincoln Lawyer is about to hit the big screen. The Everyone’s Reading Reader’s Guide states that best-selling author Michael Connelly “has set the standard for writing well-paced, well plotted, and well-crafted crime fiction” and has published “an impressive 22 novels, multiple short stories, and one non-fiction collection of crime stories.” Adding to the excitement surrounding this year’s author is the fact that The Lincoln Lawyer will come to life in theaters this weekend. In this live interview*, former journalist Michael Connelly says of his transition from covering crime to writing about it, “I had the opposite track. I wanted to write the novels first and then I thought, well, how do I get to the position where I know anything about this world?” After 15 years of covering the crime beat for both the Los Angeles Times and the Sun-Sentinel, Connelly was ready to write. “I was always looking for things no one knew about,” says Connelly of his days covering the crime beat. 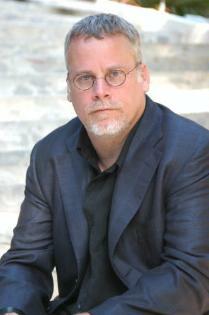 One such unknown has become the premise for Connelly’s character Mickey Haller. 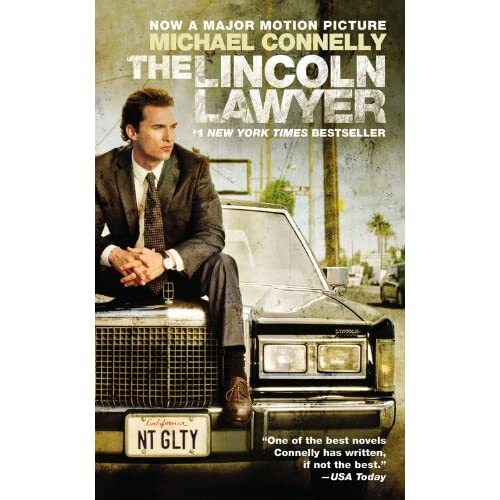 Haller appears in Connelly’s 16th novel, The Lincoln Lawyer, and is loosely based on a true to life Los Angeles defense attorney who works out of the back seat of his Lincoln Town Car. The Lincoln Lawyer was released in 2005 and is Connelly’s first-ever legal thriller. The movie version of The Lincoln Lawyer is scheduled to open in theaters this Friday, March 18, 2011. For more, link to The Lincoln Lawyer trailer or the official movie page at Lionsgate. So states debut author Taylor Stevens in an interview piece in the Fort Worth Star-Telegram* earlier this week. Stevens recently released her first thriller “The Informationist” to high praise, and seems to have no agenda other than aiming to please. If sensation sells then Stevens should be in great shape. Not only is her book supposedly full of intrigue, but her life story is as well. Stevens was born into a cult known as the Children of God, which is now called The Family International. Stevens hopes, however, to downplay that side of her life which left her deprived of an education and locked away with no food for her attempts at writing at just fifteen years of age. News sources indicate that Taylor Stevens will release her second Vanessa Munroe installment, The Innocent, sometime next year and has been contracted for a third book as well. And I can vouch. McLain does indeed capture the voice of Ernest Hemingway’s wife, or most certainly a voice of the times. McLain’s language and tone easily transport to a bohemian Paris swirling with artists and poets both over and on the cusp of discovery. Reading one good thing often leads to another, and the joys of connecting the never-ending literary dots is a pursuit of pleasure for the avid reader. The Paris Wife is a testament to this fact and is certain to spark interest in the diverse works that germinated in 1920’s Paris and continue to flourish today. McLain’s book reintroduces some big-time literary players. Having only recently finished The Paris Wife, I’ve already sought out Hemingway’s A Moveable Feast as well as the works of Gertrude Stein, James Joyce, and Ezra Pound among others. Also, if you are looking for an historical follow-up piece for McLain’s work you might try Americans in Paris by Charles Glass, a deeply researched and highly detailed non-fiction work focusing on American expats living in Paris. The Paris Wife site is a beauty, so even if you don’t care to read the book you should at least check out the photos of both the Hemingways and the landmarks of their life together. Also, I hate to veer away from solid sources, however, I did get snagged by Paula McLain’s bio spot on amazon, and her personal history is worth the link over. Very intriguing. Paula McLain received her MFA in poetry from University of Michigan and has published two collections of poetry, a memoir and an earlier novel titled A Ticket to Ride. The Paris Wife was released just a few weeks ago.